In the teens, when my friends were busy collecting those Star-photo-postcards, I used to browse Raddi-shops for latest issue of the STARDUST magazine. Such was my craze for knowing every little bit of gossips about my favorite Bollywood star, that I often ended up splurging the whole lot of my minuscule pocket money on STARDUST mags. In my wildest day-dream, I had never fantasized that the STARs themselves could be fans of a Chef. Well , if the Chef happens to be five times Michelin starred and Brand Ambassador for USHA Kitchen appliances, the VIKAS KHANNA , you must agree wholeheartedly. 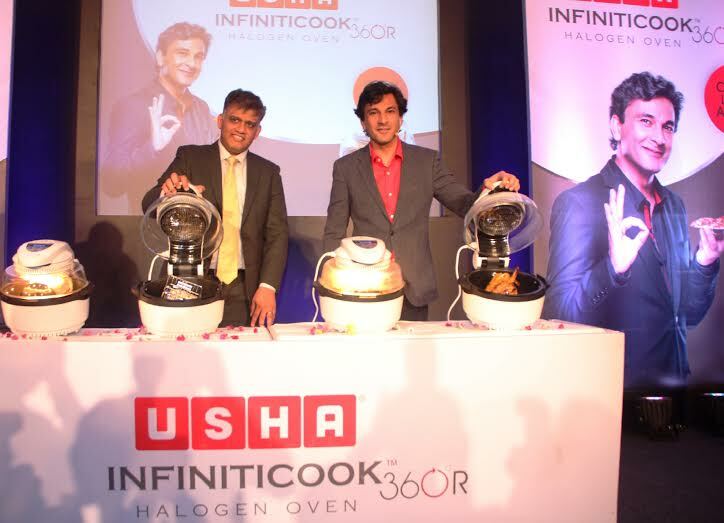 USHA International, one of India’s leading consumer durable company launched a new power-packed cooking appliance the USHA InfinitiCook Halogen Oven 360R, at ITC Grand Central-Mumbai on 15th February. The multi-functional oven was unveiled by Celebrity Chef Vikas Khanna. The USHA Infiniti Cook Halogen Oven 360R is an amazing product, designed for smart kitchens and allows food lovers to experiment with their cooking skills. With increased consciousness towards health and well-being, appliances like Usha InfinitiCook Halogen Oven 360R encourages foodies to cook and enjoy healthy yet scrumptious food without any compromise. 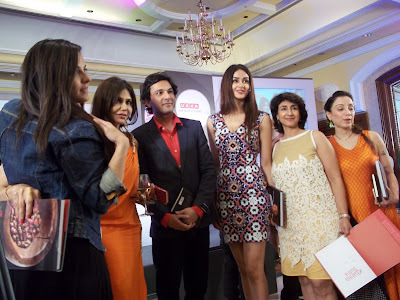 The event included the launch of a unique contest for the USHA Family Cook Book. The best recipes will be handpicked by Vikas Khanna and compiled into a family cook book which will be launched around Diwali this year. 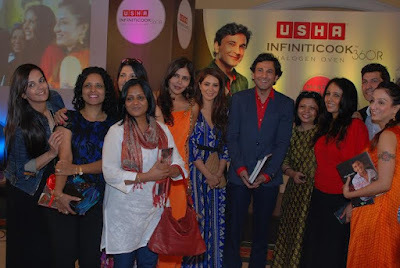 At the sidelines there was an engaging 'Cook with Vikas' session wherein celebrities and bloggers tried their hand at cooking on the new Usha InfinitiCook Halogen Oven 360R. Vikas Khanna also did a Master class with winners from The Usha Diwali Festival Campaign. The Usha InfinitiCook Halogen Oven 360R with advanced rotisserie technology is designed for smart kitchens that allow you to Cook like a pro. The four new rotisserie accessories (Rotisserie Basket, Grill, Stick and Skewers) make the USHA InfinitiCook 360R a perfect cooking solution for multiple cuisines. The 360 heating with rotisserie function enables perfect browning and even cooking from all sides. 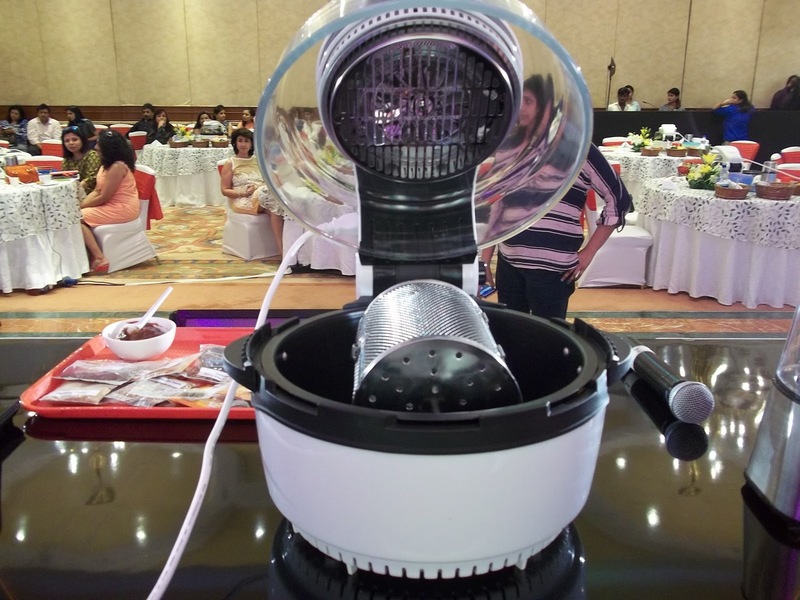 The multi-purpose cooking appliance can bake, roast, grill, thaw, slow cook, bar-be-que, braise, toast, air dry and air fry. 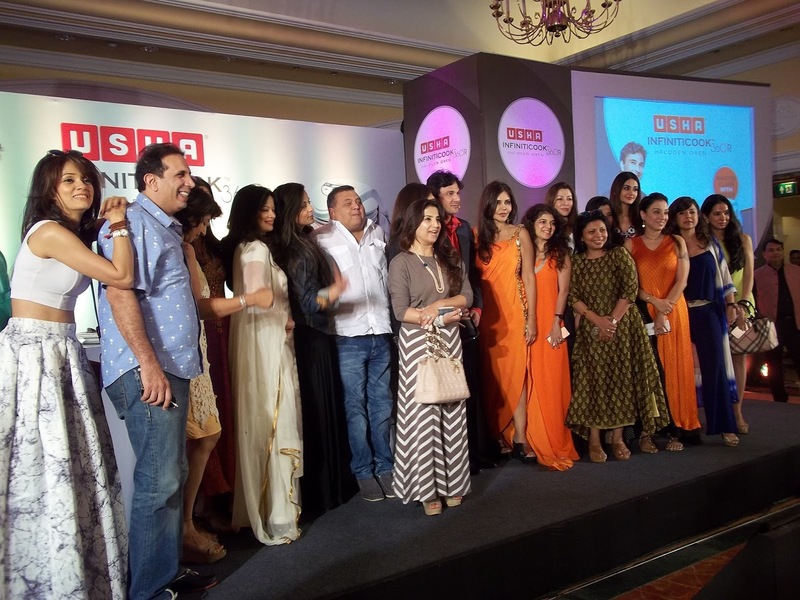 Keeping in line with the introduction of innovative products, the event also featured an experiential zone showcasing the USHA Janome Memory Craft 15000 Sewing and Embroidery Machine. The participants tried their hand on the machine and created embroidered patterns and customized designs. Everyone was excited by the intuitive and user friendly features of the machine which includes WIFI connectivity. According to AC Nielson Survey 2015, USHA International is most trusted Indian brand in consumer durables industry. Anything that involves food is always a fun event :-) Informative write-up Sujata. Hey Jyothi, Thanks. FOOD makes the Words flow abundantly. We love to eat, click and tweet about FOOD.